It's Saturday again! Time for another roundup of some of my Instagram looks throughout the week. In case you didn't know, next Wednesday the 25th Nordstrom is having their Half Yearly sale. I'm going to be doing a post with all of my sale finds, so be on the lookout for that next Thursday on the blog! I hope you guys have a great weekend! 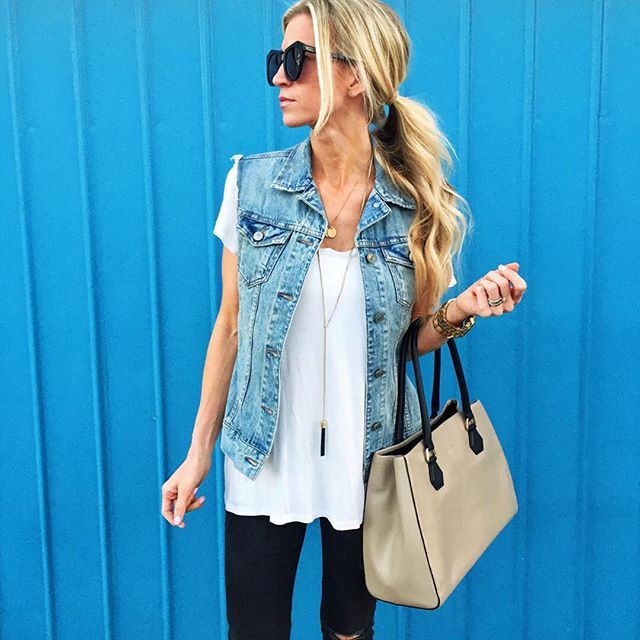 Black distressed pants are such a great alternative to jeans. I love how easily you can dress them up or down. And this faux leather jacket is such a must this Spring. It's easily been one of my favorite staples. I find that it goes with everything. I've said it before, but this skirt is everything. It has the prettiest details that are so easy to dress up. It can easily go with a colorful top if you feel like adding some color. But I love how it looks with this solid black top. I love a good head-to-toe black look. This bathing suit is adorable. You can't really tell from the picture, but the top part is basically one big bow. 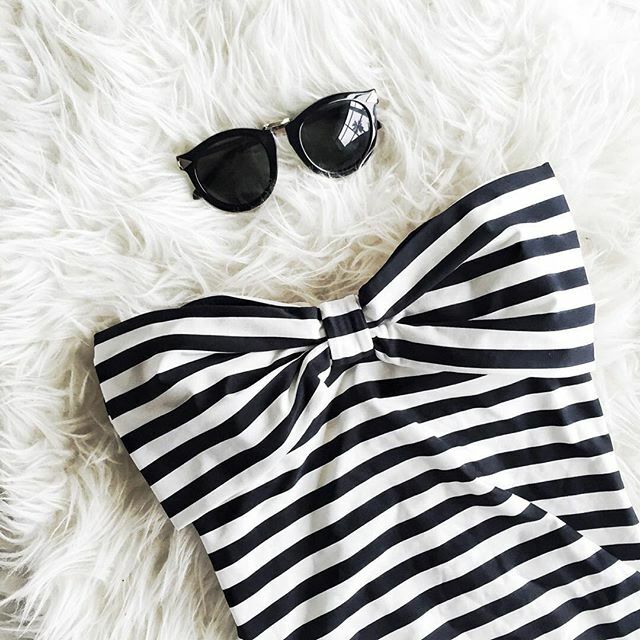 Seriously so cute, and it stands out just enough from a basic striped suit because of the bow detail. I love this vest so much, and my favorite part is the rough edges. I know it sold out fast, but I finally found one with really similar distressing. It is the perfect spring to summer piece that goes with a basic top and jeans outfit so easily. I find myself throwing it on with so many different outfits.